Get a deeper, richer understanding of the lives of Abraham and Sarah! Sarai truly brings to life the story of "Abraham and Sarah" as portrayed in the Bible, faithfully following the Biblical account and adding rich historical detail that makes it clear that the author has done her research. Meeting these Biblical characters in the pages of this book made them real, flesh and blood human beings, people who played an incredible role in God's time-line and yet were people who struggled like you and I. The author kept the story moving well despite the fact she was covering the life of a woman with an incredibly long life span! Smith has succeeded at weaving together the details of multiple characters in an artful, compelling manner. Sarai's story is heart-breaking as she yearns for a child, a plot-line that was incredibly moving. I appreciated how the author realistically portrayed the tug-of-war inside of Sarai, where she wants to have a strong faith similar to her husband, and yet struggles to as she's the one facing the changes in her body and the waning chances of ever conceiving. Abram's faith is inspiritual to behold, and I found my own faith challenged through the reading of this book, and yet his struggles and fears are also portrayed in a realistic manner. Smith does an excellent job of tying in the story of Lot and his wife, and also allows the reader to peer into the world of Hagar and consider how difficult it would have been for her to have to be told to sleep with Abram to produce an heir. If you are looking for a skillfully written, entertaining Biblically-based story, then look no further. The transformation of Abram and Sarai to "Abraham" and "Sarah" has been perfectly captured in this book! The conclusion left me looking forward to future additions to the series, and I am confident readers will agree that this is a series worth investing in! I highly recommend this book and give it 4.5 out of 5 stars. 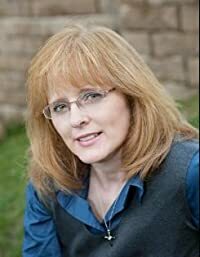 Jill Eileen Smith is the bestselling author of Michal, Abigail, and Bathsheba, all part of the the Wives of King David series. Her research into the lives of David's wives has taken her from the Bible to Israel, and she particularly enjoys learning how women lived in Old Testament times. She lives with her family in southeast Michigan.